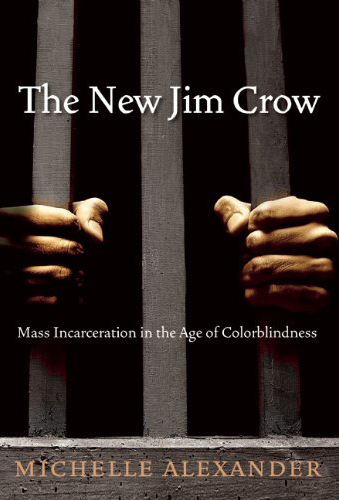 In her book, 'The New Jim Crow,' Michelle Alexander argues that "by targeting black men through the War on Drugs and decimating communities of color, the US criminal justice system functions as a contemporary system of racial control...even as it formally adheres to the principle of colorblindness." Alexander follows in the footsteps of Angela Davis and others that have decried the targeting of people of color (particularly black and Latino men, but also women) in the criminal justice system. Alexandra argues that just as Jim Crow took the place of slavery, the War on Drugs has filled in for a dissolved Jim Crow. Though black folk represent only 13% of drug users (paralleling national racial demographics), they account for 35% of drug arrests, 55% of convictions, and 74% of those sent to prison on drug possession charges. Indeed, even though 72% of drug users are white, black men are 13 times more likely to be sent to prison for a drug offence than white men. As for women, despite similar levels of drug use, black mothers are 10 times more likely to be reported to a child welfare agency for prenatal drug use than white women. Finally, white youth are significantly more likely to engage in illegal drug activity than black youth and have about three times the number of drug-related visits to the emergency room as their African American counterparts, but are far less likely to spend significant jail time as a consequence. Thus, while our state and local governments continue to face massive threats of bankruptcy, we bloat our jails with more of our citizens than any other county per capita, in a manor that disproportionately targets people of color (see also: disproportionate criminal execution of POCs). The consequences are profound, and are strikingly similar to Jim Crow-era civil rights infringements. As a result of a racialized criminal justice system, black folk are disproportionately stripped of their right to vote, denied participation on juries, and discriminated against for employment and housing. Those most in need of assistance are denied public housing, food stamps, access to education, and any number of other resources for restorative support. With no job, no house, no food, and no allies is it any wonder that there is a 70% recidivism rate? Every year, our legal system robs millions of the achievements made by the heroes of the Civil Rights movement. More African Americans are under correctional control today (prison, jail, probation, or parole) than were enslaved in 1850. More African American men are disenfranchised today than in 1869, the year before the Fifteenth Amendment was ratified. 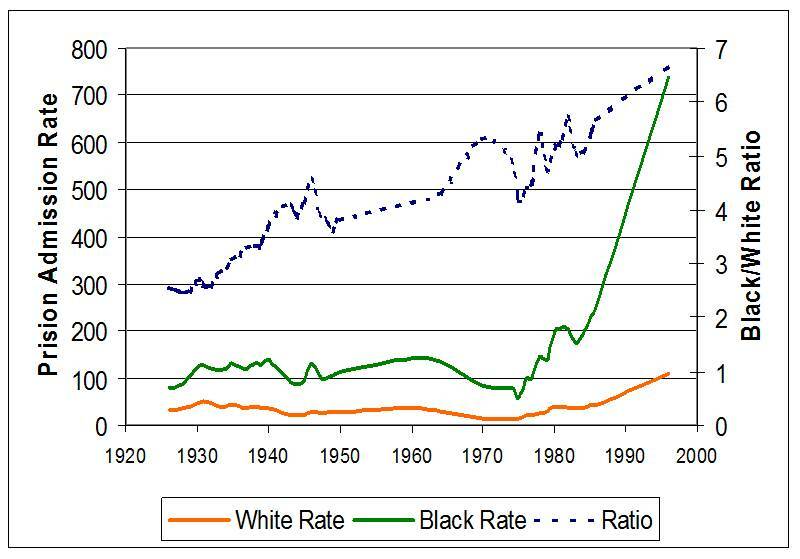 Due in large part to the mass imprisonment of black fathers, a black child born today is less likely to be raised by both parents than a black child born during slavery. Thus, we continue our nation's tradition of institutionally-sanctioned, and racially-selective denial of civil rights. In a recent TED Talk, Bryan Stevenson observed that if Germany were to have a system that disproportionately imprisoned and executed its Jewish citizens, the world would be up in arms! Yet, we seem unconcerned with the USA's policies, even knowing its brutal history of enslaving and persecuting black folk. No, she's not actually colorblind. In the words of H.R. Haldeman, President Richard Nixon’s Chief of Staff: “the whole problem is really the blacks. The key is to devise a system that recognizes this while not appearing to.” Meanwhile, funding to law enforcement agencies continues to be allocated based on quantity, not quality, of arrests, allowing high-level drug conspiracy rings to thrive, while continuing to round up people of color en masse for relatively minor, non-violent drug offenses. In 2005, four out of five drug arrests were for possession, only one out of five for sales. Most people in state prison have no history of violence or even of significant selling activity. These sorts of policies have consequences for how we in a racialized society perceive each other and ourselves. Many of the images and stereotypes held about violent and criminal people of color were created and/or perpetuated by the War on Drugs. So how do we as Christians respond? In the bible, imprisonment was considered more a means of oppression than of justice, and we are told to “remember those who are in prison, as though in prison with them" (Hebrews 13:3). We are also reminded that "the Lord hears the needy and does not despise his own people who are prisoners” (Psalm 69:33). Isaiah 61:1 says "the Spirit of the Lord God is upon Me, Because the Lord has anointed Me to preach good tidings to the poor; He has sent Me to heal the brokenhearted, To proclaim liberty to the captives, And the opening of the prison to those who are bound." Do we take that scripture seriously? 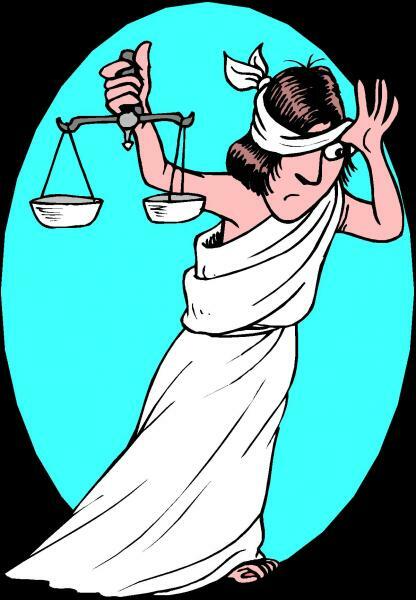 Finally, note what the Psalms say: “How long will you judge unjustly and show partiality to the wicked? Give justice to the weak and the fatherless" (Psalms 82:2-3). Find a Kairos Prison Ministry in your area, and begin to minister to the folks living the consequences of our War on Drugs. Sit at their feet and learn what it means to "Let the groans of the prisoners come before you" (Psalm 79:11). Thanks for highlighting Kairos Prison Ministry! We are very involved in baking cookies and sending people for Kairos weekends at the churches I serve, and I am glad to see you are involved, too! Yay! Yeah, our branch seems to be called 'Horizon' (http://www.horizonprisonministry.org/)and I'm not sure why or how it is linked, but it is. The exec director goes to our church and our pastor is the VP. Such good work! This is an excellent review/summary of the book. Thanks for all that you do! !